of windows, doors and hardware has been designed to meet all types of scenarios. Whatever your plans, we have it covered - from residential solutions to special aspects like thermal efficiency, span capabilities, aesthetic and functional features.Browse our full range of windows or doors, read brochures online, or order a copy. 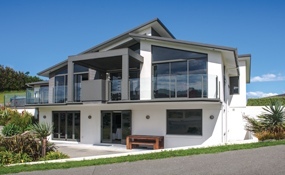 Altherm Residential doors and windows are found more than any other brand in New Zealand homes. Browse our range to find a window, or door to suit your project. The next step up, Metro, is a stylish and versatile range of heavy duty windows and doors. Our Metro range combines serious performance with sleek, compact and contemporary design. Suitable for residential and architectural applications in demanding environments. 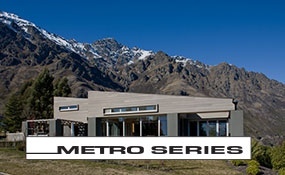 Contact us for the Metro Series brochure. The APL Architectural series is for architecturally styled homes and apartments where size, strength, uncompromising good looks and functionality are desired. Contemporary design profiles include clean, flush surfaces, continuous sightlines and square-edged forms. APL Architectural Series offers a full suite of products with doors capable of heights up to 2.7 metres and higher, depending on wind exposure. 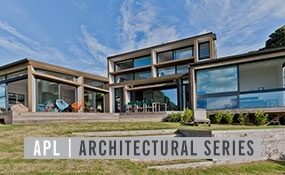 Contact us for the APL Architectural Series brochure. 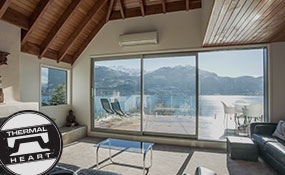 For designers, builders and homeowners seeking temperature comfort in homes, especially during winter, we offer advanced ThermalHeart technology in Altherm Residential and Metro series windows and doors. Windows and doors featuring ThermalHeart technology have nylon thermal insulators separating the inside and outside metal faces. This cleverly integrated barrier stops the transmission of cold through the aluminium. ThermalHeart is a smart and affordable investment with substantial long term energy savings and health benefits. It is always used with double-glazing, and a variety of high performance thermal glass options are available.